Medicine has made profound advances in treating many diseases, but in its great strength lies its debilitating weakness. To understand this, consider how professional work tends to be organized. Much of it is rather standardized, carried out by highly-trained people with a good deal of individual autonomy—at least from their colleagues, if not from the professional associations that set their standards. Just as the musicians of a symphony orchestra play in harmony while each plays to the notes written for his or her instrument, so too can a surgeon and anesthetist spend hours in an operating room without exchanging a single word. By virtue of their training, each knows exactly what to expect of the other. Accordingly, much of modern medicine does not solve problems in an open-ended way so much as categorize patients’ conditions in a restricted way. Each is slotted into an established category of disease—a process known as diagnosis—to which an established, ideally evidence-based treatment—referred to as a set of protocols—can be applied. This standardization is not, however, absolute: it takes the form of tailored customization. (See our article Customizing Customization.) The predetermined standards—those protocols—are tailored to the condition in question. The patient presents with a pain in the chest; the diagnosis indicates a blocked artery; a particular stent is installed in a particular place; and an administrative box is ticked so that a standard payment can be made. The great strength of modern medicine lies in the fits that work. The patient enters the hospital with a diseased heart and leaves soon after with a repaired one. But where the fit fails can be found modern medicine’s debilitating weakness. Fits fail, more often than generally realized, beyond the categories, across the categories, and beneath the categories. Beyond the categories lie those illnesses that fit into no predetermined category of disease. The patient may not be treated at all—indeed, sometimes dismissed as a hypochondriac—or forced into an inadequate, if convenient, category. Think about IBS (Irritable Bowel Syndrome), a label for ignorance, or some auto-immune conditions. Beneath the categories lies a misfit that is no less common, or significant, than the other two. The fit is correct, but insufficient for effective treatment. Here medicine has to get past the “patient”, to the person. Dr. Atul Gawande, in a New Yorker article entitled “The Bell Curve” (6 December 2004), reported on his observation of a renowned cystic fibrosis physician. He wrote the protocols that others used, yet had much better results. Meeting a young woman, and seeing a reduced measure of lung-function, he asked if she was taking her treatments. She said that she was. But he probed further, to discover that she had a new boyfriend and a new job that were getting in the way of taking those treatments. Together they figured out how she could alter her schedule. Here, then, lay the good doctor’s secret: he treated the person and not just the patient, by delving beneath the medical context, to her personal situation. Of course, too much contemporary administration hardly encourages this kind of probing. If the administration of that doctor’s hospital was managing in the modern way, it may have questioned why he was spending so much time with this one patient. True she might live longer, but how to measure that in a budgeting system focussed on current expenditures? Before any physician jumps on this point with great glee, he or she would do well to recognize that the management weakness here is not fundamentally different from that of medicine. Both suffer from an excessive tendency to categorize, commodify, and calculate—indeed, much like the rest of modern society. (See my TWOG on pat and playful puzzles.) Are managers who claim that “If you can’t measure it, you can’t manage it” any more sensible than physicians who claim that “If it’s not evidence-based, it’s not proper medicine”? Subscribing to either canon would close down both management and medicine. Evidence-guided medicine is fine, as is evidence-guided management. That good doctor used the evidence presented to him. But he probed beneath it, to that woman’s experience. Within and across the categories called medicine and management, physicians and administrators alike would do well to get past their common debilitating weakness, to engage collaboratively for better health care. This blog is for your ears. CBC radio recently broadcast an interview with me about my book Managing the Myths of Health Care. Michael Enright, who has been hosting the popular “Sunday Edition” for years, and I have always resonated well in earlier interviews, but never this well—at least judging by the tweets and emails that came in. Needless to say, this has many controversial comments, but I always maintain that my most outrageous ones are usually the truest. Given the reaction in Canada, why not post the interview for people elsewhere. (It’s not especially about Canadian health care.) So here it is, not as a transcription, but as the audio version itself. Moreover, instead of putting up my own tweets, we have selected them from the reactions of the listeners—tweets and emails, to and by the CBC, and to myself. Here is the link to the full audio interview. Hearing the easy bantering between Michael and myself may encourage you to listen to all of it. Otherwise, this takes you to the CBC summary of the interview, including quotes from it. But I warn you: much is lost in the transcription! Welcome to Nina Hermes, who joins me in preparing and posting these TWOGs. And thank you to Tanya Sardana who has been doing so. 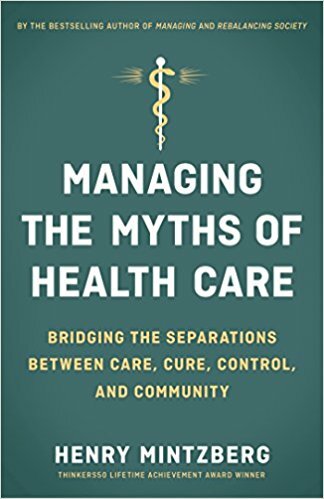 This blog is adapted from two passages of my new book Managing the Myths of Health Care. The patient is the “single most underused person in health care”. This means you and me. We are not casual players when it comes to our health, no matter how passive we may be in front of our doctors. Much of the time, we are not even in front of them, or even patients. We have to take primary responsibility for the care of much of our own health, including the prevention of diseases. Moreover, we are often the “first responders.” We feel something coming on and get ourselves to a professional, or else just deal with some problem ourselves. (Have you put on a bandage lately?) And not just for ourselves. We can be the first responders for our children, sometimes even for our elderly parents. So we better be well informed. How well are we informed? There is a vast array of health care information out there: how much of what we need to know actually gets to us? Is 10% a gross exaggeration? I go into the supermarket and see eggs, Omega 3 and Organic. Which is better? I always mean to check on the Internet when I get home, but I always forget. What’s the use? The answer will probably change soon anyway. But it’s not the reliability of the information that bothers me so much as the rendering of it for my personal use. So how do I get informed for my very survival? Haphazardly. Had I not had the radio on a particular day last year, I would not have heard that I no longer need to force eight glasses of water down my throat every day. But this year, had I listened to my medical friends and not gone to see a naturopath, I would not have found out that, for a particular condition I have, I had better drink all that water after all. Is this any way to get informed about my health—a radio program here, TV news there, a consultation, an article sent by a friend, and most systematically of all, ads telling me what pain killer to swallow? And I’m advantaged: well educated, with time to read. Plus I have physician friends I can call about these things. And now, thanks to the Internet, I can find all kinds of information to misinterpret. Mostly, however, I am overwhelmed by the information available, and underwhelmed by what of it I get. I need HELP!!! General practitioners, even the most responsive ones, are busy people. They have to diagnose, treat or refer, and advise—usually with a waiting room full of anxious people. We, the people out there, need something more. So let me suggest the role of health navigator. Don't confuse this with nurse practitioner, who comes from the perspective of medicine, as a supplement to physicians. It should be noted that there's a lot more to health care than what physicians mostly do, including the promotion of health (especially diet), the prevention of many illnesses, and the treatment of those that medicine has yet to address (such as IBS and many auto-immune conditions). Other services, such as acupuncture, naturopathy, and homeopathy, do treat some of these conditions—in my experience, at times remarkably well—yet get marginalized by a medical establishment that can be doubly blind. Get to know us, as individuals and in our community, beginning with an extensive first interview about all aspects of our health (as homeopaths do), and continuing to maintain that understanding. Remain abreast of health care information in general, as well as of the reliable sites that provide it, and of the services that are available in our community. Provide us with whatever of that information each of us needs, alongside advice to help maintain our health. In the event of illness, guide us through the intricacies of diagnosis, treatment, and especially recovery. The diagram below shows the five key aspects of health care—maintaining health, detecting illness, diagnosing disease, treating disease, and recovering health—around two concentric circles. 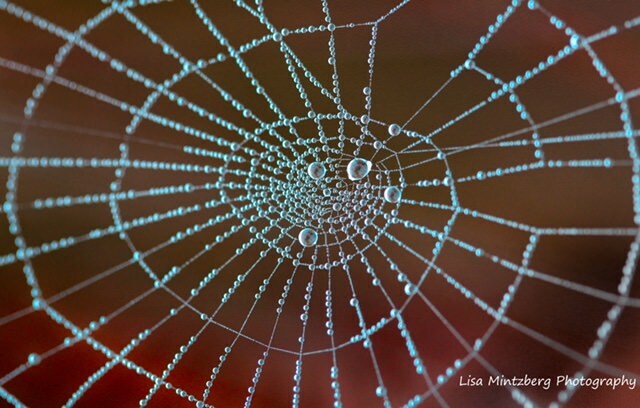 The outer one is labelled the Professional Ring while the inner one, closer to ourselves, is labelled the Personal Sphere. 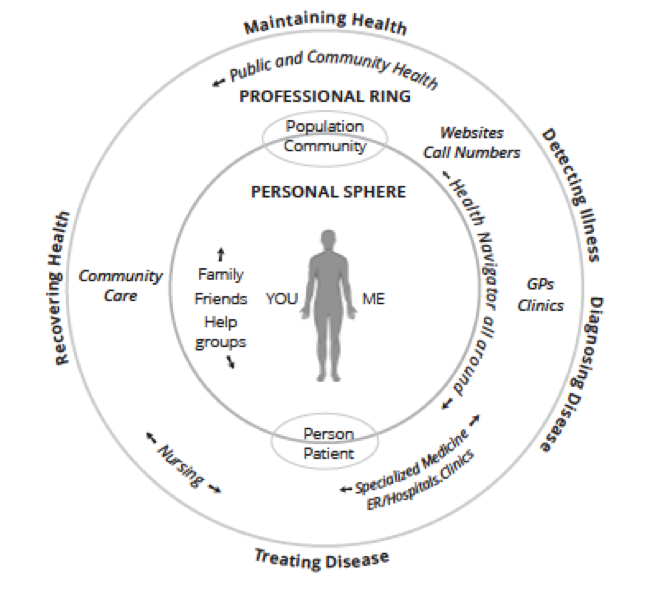 The health navigator would work all around he circle—as shown in the diagram, in the Professional Ring but close to the Personal Sphere. Must we leave the fate of our health to the haphazardness of the information marketplace as well as to the limitations of medical practice? Or shall we find our proper place in the care of our own health? © Henry Mintzberg 2017 with passages from Managing the Myths of Health Care.